CRISPRcon: Science, Society, and the Future of Gene Editing, a timely two-day conference attracting hundreds of attendees to the University of California, Berkeley campus, kicked off yesterday, August 16, 2017, with a keynote from CRISPR pioneer and hometown hero, Jennifer Doudna, Ph.D.
Aside from being one of the key developers of CRISPR gene-editing technology, Doudna, a Howard Hughes Medical Institute investigator at UC Berkeley, has played a leading role in demanding a broader public discussion of the potential benefits and dangers of gene-editing technology. Her motivation traces back to 2014, when she was called by a reporter to comment on a new paper on CRISPR monkey embryo editing. “I started thinking, if you can do this in mice and rats and monkeys, then why not humans?” Doudna recalled. Since then, there have been several important meetings to debate CRISPR technology, and several important reports, including one published earlier this year from the National Academy of Sciences. That report concluded that germline editing of human embryos might be permitted under certain criteria. Illustrating that point, Doudna displayed a series of popular science headlines (actually all taken from WIRED magazine). The wealth of CRISPR applications include creating hornless cattle, treating blood diseases, controlling mosquito-borne diseases, identifying cancer genes in endangered species (such as the Tasmanian devil), generating human–pig chimeras, germline editing of embryos, clinical trials for cancer immunotherapy, and a plethora of gene-cutting research studies in a host of different organisms, including new models such as the killifish. Doudna highlighted three studies published in just the past two to three months: a report in Molecular Therapy showing that researchers can excise the human immunodeficiency virus (HIV) provirus in animal models; a paper in Cell using CRISPR to increase fruit yields in tomatoes; and a high-profile paper in Science from eGenesis, a Boston start-up cofounded by Harvard’s George Church, Ph.D., using CRISPR to develop pig strains lacking copies of a natural porcine virus as a prelude, perhaps, to safer organ transplants. By contrast, the Nature paper “really did present a comprehensive protocol” and “sets the stage for clinical use.” The authors, Doudna continued, “showed importantly that there were very few off-target events” in the human embryo, as well as almost no signs of mosaicism. “This technology can be very robust in viable human embryos,” she concluded. 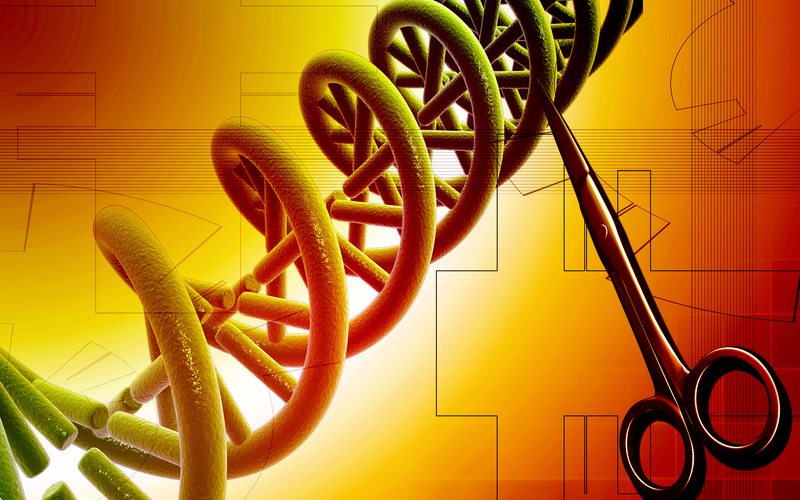 What needs to happen for gene editing to be widely adopted by technical practitioners? How will CRISPR be democratized even further? Social acceptance: Are there lessons to be learned from the history of previous genetically modified crops, such as Golden Rice, that are relevant to CRISPR? Ethics: Are there safeguards against side effects of genetic manipulation for therapeutic uses, (e.g., off-target effects)? Asked which genes she thinks could potentially be amenable to CRISPR editing in humans, Doudna said the priority should be to look for situations where there is no reasonable alternative (such as genetic counseling or preimplantation genetic diagnosis) to tackle the disorder. In an interactive poll, the CRISPRcon audience was asked to name its chief fears about CRISPR technology. The most common responses included eugenics (“Gattaca”) and bioterror (“an arms race”). One response, in particular, caught the eye: “X-Men”. It wasn’t clear if it was intended as a joke.